She's been powering her way closer to a 24th Grand Slam title at the Australian Open this month. 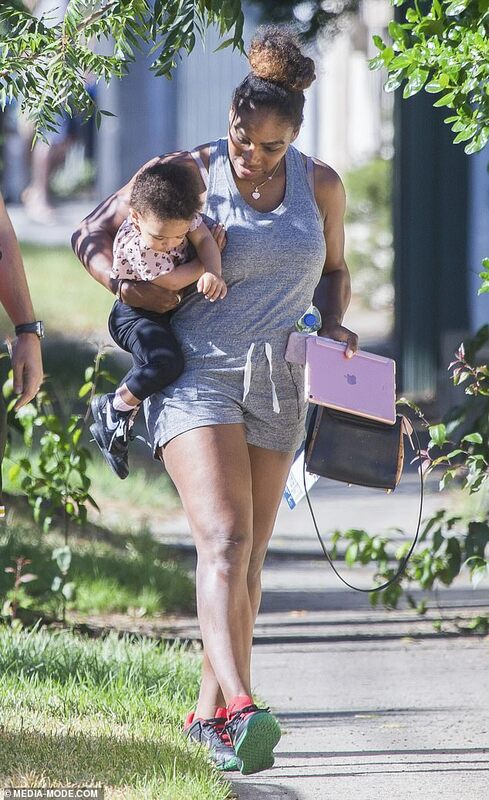 But on Sunday, Serena Williams, 37, took a much-deserved break as she enjoyed a casual outing in Melbourne with husband Alexis Ohanian, 35, and their one-year-old daughter Alexis Olympia Ohanian, Jr.
Doting parents Serena and Alexis were spotted walking down a leafy suburban street while their adorable girl toddled in front of them. 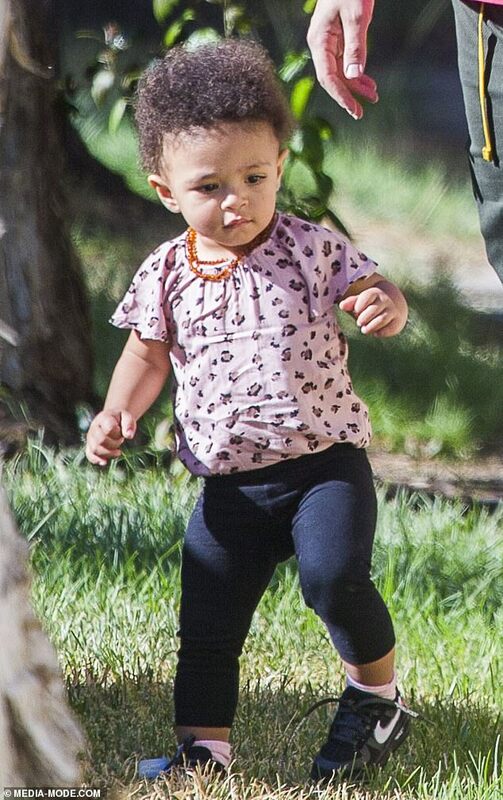 Looking every inch the pint-sized fashion star, little Alexis sported a pink floral top, black leggings and a beaded necklace. She also wore a pair of black Nike sneakers which retail for a whopping $300. Meanwhile, Serena looked sporty in a grey marl jumpsuit and a gold heart pendant necklace.